Prep: Prepare mix while pre-heating the KWI over medium-high heat. Pour: Pour 3/4 cup of batter and close, then return the KWI to heat. Flip: Cook over medium-high heat for about 3-4 minutes on each side. 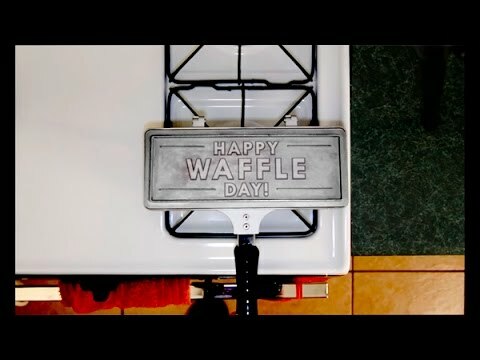 You will soon have the power to make the most awesome looking waffles in existence! As an added bonus, we're including a digital download of our KWI recipe book which included 20 amazing recipes tailored for the KWI's unique pattern!